Around the World: Global experience gives Golder a competitive edge. “We see water as a topic integral to sustainability. It’s essential in discussions about the environment, society, the economy, energy, land use, food security, and making decisions about natural resources,” says Jeanette Southwood, principal at Golder Associates and also Golder’s global and Canadian sustainable cities leader. In order to answer some tough questions, such as how to maintain quality sources of water for the future and how to sustain its availability, Golder’s 8,000 employees globally are working collaboratively to apply their collective knowledge with clients in communities around the world. For many years, Golder has been helping municipalities in Canada to sustainably manage groundwater supply sources. Recently, Golder helped the Region of Waterloo undertake a unique drinking water protection census and move towards compliance with new Ontario provincial government legislation intended to protect groundwater supplies. The census engaged property owners and businesses situated in wellhead protection zones on the need to improve land-use management practices so that groundwater supplies remain viable over the long term. A large volume of information was collected and analyzed to complete a risk assessment that considered land-use practices and the vulnerability of the resource. The results of this risk assessment allowed the Region and Province to prioritize efforts to reduce the risks to long-term supply viability. To acquire this information, Golder’s team included specialists in market research and conducting surveys with the public. 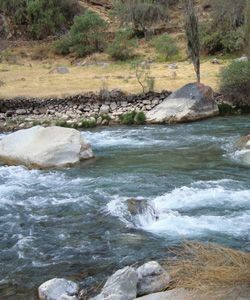 “The involvement of these specialists was a real benefit to the Region and a step outside of what we normally do from the water supply science and hydrogeology type of work,” says John Piersol, a hydrogeologist and associate at Golder.